Pearls are the perfect wedding accessory appropriate for brides members of the bridal party & guests. 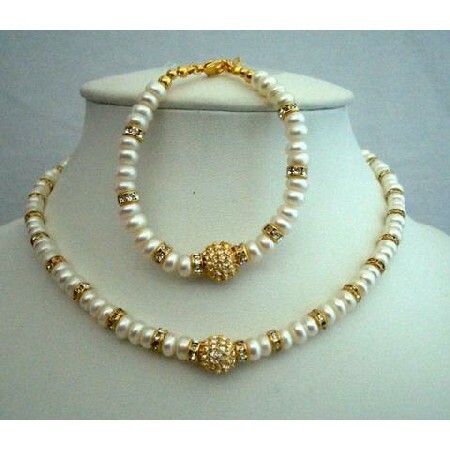 Handmade Exquisite Necklace All A Grade & Material are used to make this beautiful Necklace & Bracelet in Potato Shape FreshWater Pearls. Freshwater Pearls & Rondells(is gold rings)is in 22k Gold Plated with Round Pendant is in Gold Plated embedded with Cubic Zirconia that look like diamond. The design is handcrafted dozens of lustrous sparkling FreshWater Pearls.